Water and toilets are inextricably linked, but toilets sometimes take a backseat to water problems occurring worldwide. But if you don’t have water, you can’t have some styles of toilets or proper hygiene and around 200 million tons of human defecation pollutes waterways each year causing illnesses. Even though over 800 million people do not have safe drinking water and around 2.6 billion people do not have safe sanitation, water projects often receive more funding and media coverage. It’s essential to think about toilets locally and globally. World Toilet Day created by the World Toilet Organization is an opportunity to talk about the hidden problem of sanitation. To celebrate World Toilet Day 2012, Water for the Ages is raising awareness in US cities about emergency sanitation with PHLUSH and sharing information about toilet initiatives happening globally. Sanitation saves lives! PHLUSH believes toilets are a human right. The organization [where I volunteer] works on sanitation issues in North America: 1) public restroom design, 2) emergency sanitation, and 3) ecological sanitation. PHLUSH has had success in adaptation of an emergency toilet model used in Christchurch, New Zealand. This Twin Bucket Emergency Toilet helps families deal with lack of sanitation, and it’s ecologically friendly. Partner organization MDML created the Sewer Catastrophe Companion which provides detailed instructions in the event of long-term sewer disruption. 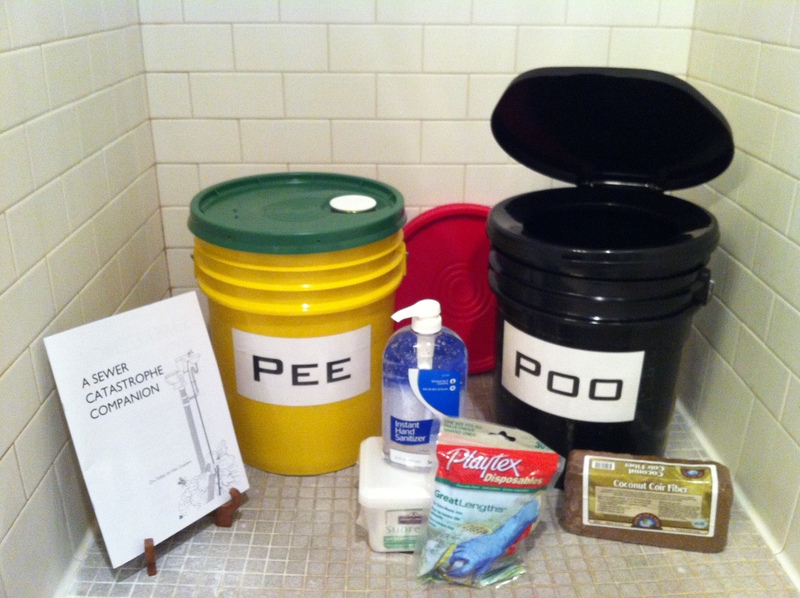 These two organizations seem to be leading the nation in long-term emergency sanitation solutions. For World Toilet Day 2012, PHLUSH is sharing this emergency toilet model with several cities across the country. Please see open letters to Seattle, San Francisco, and Santa Cruz below. For more information, please contact info@phlush.org and follow @PortlandPHLUSH and @waterfortheages. Lack of toilets globally is a huge issue, and related illnesses are the second biggest killer of children under five. Regions with worst access are West and Central Africa (36 percent coverage), South Asia (37 percent coverage) and Eastern and Southern Africa (38 percent coverage). Improving toilet coverage will allow girls to attend school, help save lives of small children, create a safer environment for women, and is the first step towards empowering communities. Many organizations are working to raise awareness on World Toilet Day 2012. The World Toilet Day website encourages people to get involved by tweeting and signing a petition. Water Aid created an awesome video to let people know 1 in 3 women do not have safe places to go. A great article called Thinking Outside the Stall was written featuring WASH Advocates. Water.org has an interactive website where you can “share your voice for World Toilet Day” by allowing them to link to your twitter and Facebook accounts. And Water for People has nifty e-cards that you can send to your friends. Please take a few moments today to learn a little something about those many humans without toilets. It could help save lives!